Oregon’s Secretary of State office and the Century of Action teamed up to create an online Woman Suffrage Centennial Web Exhibit as well as the color insert for the 2011-2012 print version of the Oregon Blue Book. Please take a few minutes to explore the online exhibit, and read the Voting Rights dedication there, too. 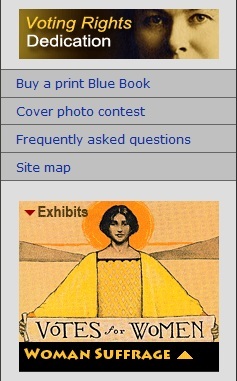 You can also find information there about purchasing print Oregon Blue Books.